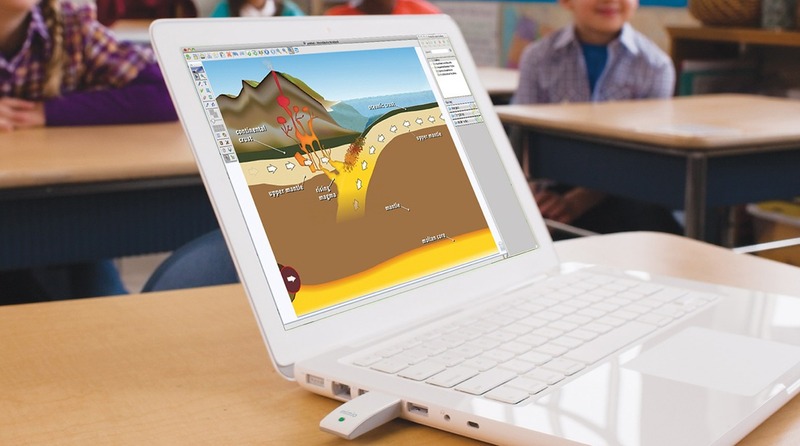 Mimio has updated its MimioStudio and MimioMobile teaching technologies. Designed to help educators offer interactive teaching aligned to the Common Core State Standards, MimioStudio 11.3 classroom software and the MimioMobile 3 mobile application are available immediately. Current customers can upgrade to these versions for free from app stores and Mimio’s website. MimioStudio is now fully compatible with the MimioMobile 3 app, which enables educators to deliver collaborative lessons to any Apple or Android mobile device for up to 50 students at a time. With a single MimioStudio classroom license and the MimioMobile 3 app, any student with an Android or Apple mobile device can participate in collaborative learning and ongoing, real-time formative assessment, including open-response questions. MimioStudio now also integrates all MimioClassroom products, supports Common Core guidelines through ongoing assessment and collaborative learning, and powers any type of interactive display. The latest version allows each student to use new MimioPad wireless pen tablets and mobile devices equipped with the MimioMobile application to control his or her own MimioStudio Notebook page to build on interactive activities and lessons already created by the teacher. With MimioStudio’s expanded Collaborate feature, teachers can have a single student, group or the entire class work on the same activity. They can also pause student sessions or hide a session from view instantly — all on the front-of-the-class display.